Only those with an in-form crystal ball could possibly have foreseen the 1936 Cups double of Northwind and Wotan, which provided the ultimate skinner for doubles bookmakers of the day when the pair came home at odds of 66/1 and 100/1 respectively. Certainly no one, clairvoyant or otherwise, has come forward in the 80 years since to cash in a winning ticket! And who could have predicted the two youngsters toiling home among the tailenders in the 1936 Champagne Stakes would set the standard for their foal crop in the season ahead. Perhaps a few overlooked the form at face value to follow Gold Rod and Talking in their classic year. And while the promise shown by the debut win of a hulking two year-old chestnut colt by Heroic at Caulfield in mid-January 1937 was impressive enough, we now know that victory launched the glittering career of the mercurial Ajax. And then there was the Queenslander Pamelus, a brilliant racehorse whose reputation today would have been far greater had it not been for his reputation at the time to have preceded him south. Chances are most readers have never heard of the horse and yet he was one of the very best doing the rounds in 1936/37. It was a case of what might have been for many of the better gallopers of the season, none more so than the Heroic four year-old Silver Standard, who was runner-up in both Cups and The Metropolitan during the 1936 spring. Or the three year-old colt Mala, who from seven starts finished second five times in races such as the AJC Derby and Victoria Derby as well as the Cox Plate. Silver Standard and Mala did not win a race during the year. The same could be said for the glamour four year-old Valiant Chief who looked set for an excellent preparation having won the Memsie Stakes and Moondah Plate in the early spring before his season came to an end when falling at Moonee Valley on September 26 (Valiant Chief made a successful comeback to racing the following year). As three year-olds Young Idea and Valiant Chief had met many times with the overall score in favour of the former, although the handicappers of the day were inclined to rate Valiant Chief more highly. At his fifth run in the new season, Young Idea again hit peak form on Guineas Day, winning the Caulfield Stakes narrowly from the up-and-coming stayer, Golden Promise. Young Idea had failed in the 1935 Cox Plate when well in the market and he was again fancied on the back of his last start win when lining up for his second attempt at the Moonee Valley feature. Most opposition was expected to come from the three year-olds Mala and Shakespeare and the New Zealander, Silver Ring, who had won three of his previous four starts in Sydney at weight-for-age and was the ruling Melbourne Cup favourite. In a muddling run race, Young Idea’s strong finish from midfield proved decisive as he rounded up the leaders in the straight before going on to defeat Mala, who had led on the turn, with Shakespeare finishing well for third. Silver Ring was disappointing in seventh place and few took any notice of the rank outsider Wotan, having his first Australian start that spring, towards the rear of the field. Young Idea went to Flemington on Derby Day for the first running of the L.K.S. Mackinnon Stakes but in a tight three-way finish he went under to the Sydney horse Gay Blonde and an old rival Allunga as the 5/2 favourite. Silver Ring again disappointed when failing to beat a runner home and from being favourite a fortnight earlier, the horse drifted to start at 50/1 for the 1936 Melbourne Cup. It was another reason for bookmakers of the day to recall the 1936 spring with a wry smile. 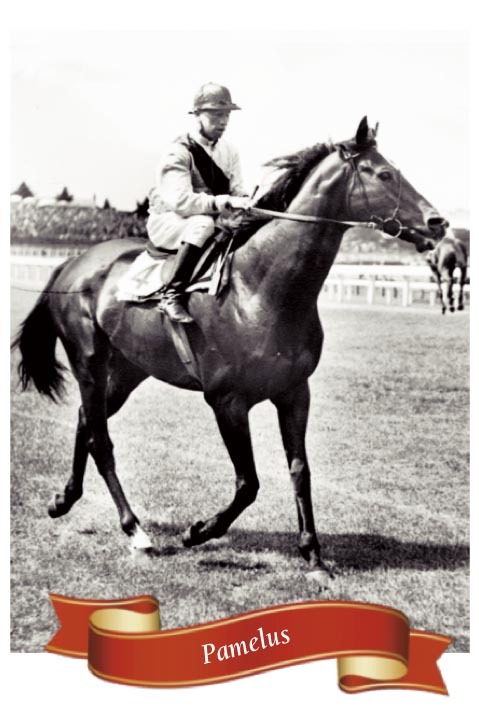 Brought back to a mile for the Linlithgow Stakes on Oaks Day, Young Idea was at his brilliant best when trouncing the Caulfield Guineas winner Beechwood by three lengths, but he again found 12 furlongs too far when fourth in the C. B. Fisher Plate two days later. In the autumn, Young Idea won only one more race, the St George Stakes, from another 10 starts to make his record for the year 19-4-0-5. While those stats probably rule him out of contention for our Bluebloods HOTY, his form serves to highlight the quality and claims of two of his main opponents in that second preparation, namely Gold Rod and Pamelus. Gold Rod’s shock loss in the Champagne Stakes as the 1/7 favourite seemed a distant memory when the glamour colt bolted away with the Hobartville Stakes first-up and then safely held the strong finish of Mala to win the Chelmsford Stakes with a 7lb penalty over 9f a fortnight later, with established stars Sylvandale, Lough Neagh and Silver Ring unplaced. Gold Rod’s next target was the AJC Derby. Today we would consider his a light preparation for the classic event, with Randwick’s testing straight having found out many a brilliant colt before and since in the Blue Riband. Breeding pundits questioned his stamina, in particular pointing to his 3×3 inbreeding to Tetratema, the sire of The Tetrarch, and even though his dam was a daughter of the champion mare Desert Gold, the stock of his excellent NZ-based sire, Chief Ruler showed more speed than stamina in general, with the odd exception. But such was the aura surrounding Gold Rod since his two year-old debut that punters made him the warm 4/7 favourite on the day, with Mala second elect at 7/1 and the Rosehill Guineas quinella of Shakespeare and Talking on the third line at double figures. Derby Day started rather unconventionally for poor old Mala though, when the colt had an encounter with a tram following morning trackwork. Nevertheless he was cleared to run that afternoon, although the tram was running behind schedule they say, as trams do. The field of nine was down to eight soon after the start when Shakespeare and his rider parted company and on settling down, Maurice McCarten had Gold Rod in the lead from Mala with Talking next. The three fancied colts made the home turn in that order where Gold Rod increased his lead but at the furlong Mala had ranged alongside the favourite only for Talking’s run to be timed to perfection by Andy Knox and the Magpie colt swept past to win the 1936 AJC Derby running away by 1.5 lengths. Mala held second with Gold Rod third. Following the race, Gold Rod was diagnosed with suspensory ligament issues and the star colt’s spring was over after just three outings. We will come back to Gold Rod and his excellent autumn campaign in due course. But, for now, Talking was the talking horse. At two, the colt had shown promise winning twice and being by the great Kia-Ora stallion Magpie (in fact, Talking was his sire’s last turf star), his connections held legitimate classic hopes in the new season, no doubt. On turning three, Talking’s form improved dramatically. First-up, he won the Wentworthville Stakes at Rosehill at weight-for-age from a small field, which was of only average quality in hindsight. The race itself was run for just a few years in the 1930s but is regarded as a Principal Race by the Australian Stud Book. The bar was raised next time out and on the day that Gold Rod won the Hobartville Stakes, Talking rocketed into Derby and Cups markets with a hollow three length victory in the Warwick Stakes, defeating Lough Neagh, the champion mare Cuddle, Sylvandale and Silver Ring among others. When Talking went under to Shakespeare in the Rosehill Guineas opinions were divided. Some pointed the finger at his rider for making too much use of the horse in the early and middle stages while others were equally adamant that Talking had failed to stay, having been run down by the winner over the final furlong. The winning margin was a half-length. But on the back of a very solid preparation, there was no element of fluke in Talking’s AJC Derby success. He was clearly the best on the day and clearly the best classic colt for the year, as time would tell. As Peter Pan had done four years earlier following his Derby victory, Talking’s next run was in the Caulfield Cup and like that great horse, he too was ridden by Sydney lightweight Andy Knox. Starting favourite at 3/1, Talking was ridden for speed in the early stages and went head-to-head in the lead with the Queenslander Pamelus to the home turn, but like Peter Pan, the Sydney colt was all at sea around Caulfield and drifted to the centre of the track down the running before being passed late by runner-up Silver Standard and the eventual winner Northwind. Knox, as he had been for his ride on Peter Pan, was criticised in the press for making too much use of Talking in the early and middle stages. However, Talking’s effort was impressive enough for the Magpie colt to remain on the top line of betting for the Victoria Derby and the Melbourne Cup. Within a few days of the 1936 Caulfield Cup, Talking made national headlines when sold privately for an Australian record price of £19,000 to Sydney businessman Alan Cooper, who had recently acquired the Segenhoe Stud at Scone, surpassing the previous mark set by C.B. Kellow’s purchase of Heroic in 1925 for £3000 pounds less. Talking had been bought for a mere 1100 guineas as a yearling, so the sale price plus his prize money earnings made for a handsome return on investment for his previous owner in the 18-month period. Cooper left Talking with his trainer Papworth but was non-committal about running his new acquisition in both the Derby and the Cup until a few days beforehand. But contest both races he did and Talking ran right up to his best form when winning the Victoria Derby by two lengths from the Cox Plate placegetters Mala and Shakespeare to return £3500 of his purchase price. Three year-olds had won the Melbourne Cup in 1932 and 1933 and with similar form lines to both Peter Pan and the dual Derby winner Hall Mark, Talking started the public elect for the 1936 running of the great race. Once again the pace of the race seemed to work against Talking, who was positioned second in the early stages but then faced the task of chasing the tearaway leader Young Crusader in the run to the home turn. Talking was left in front at the top of the straight and looked the winner until the furlong where he again drifted to the centre of the course when headed by Silver Standard making his run. But Wotan’s brilliant finishing burst left nothing else a chance over the final stages and Talking crossed the line in seventh place, just behind Mala this time. Talking was spelled and made only one more start for the year when resuming in the Randwick Stakes in February. After being kicked behind the barrier, Talking made no show and finished in the ruck behind the very good miler King’s Head. The Magpie colt’s absence from the autumn denied him the chance of staking his HOTY claims further when races such at the AJC and VRC St Leger Stakes were well within his scope as would have been the middle distance weight-for-age contests against what was a comparatively moderate group of older stayers. Talking’s record for the year was 8-4-1-1 and his prize money earnings for the 1936/37 racing year of £8600 was not bettered. For our other major HOTY contenders, autumn was when they shone. A decade before Bernborough made nationwide headlines, the Queensland horse Pamelus captured almost as much attention from racing writers of the day. And like Bernborough, sometimes it was for the right reasons, and sometimes it was not. 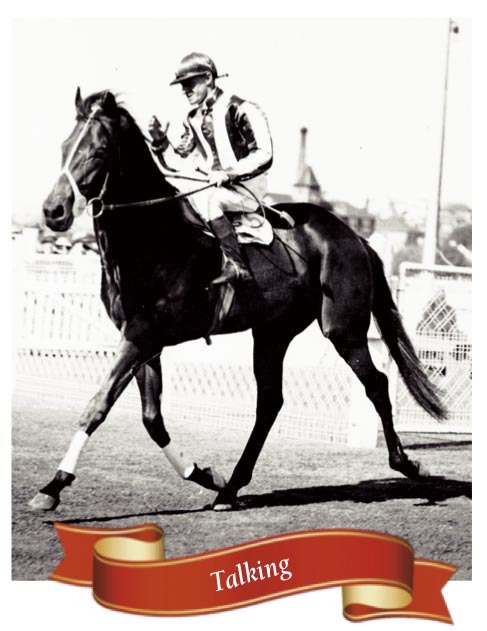 As a three year-old in the latter half of the 1934/35 season, Pamelus worked his way through the grades before winning the valuable Armidale Cup across the border and then the Weetwood Hcp at his home track in Toowoomba, a victory achieved with “consummate ease” it was reported, while landing his connections a fortune in bets. Pamelus then put up a sensational performance when bolting away with one of Queensland’s biggest sprints, the Doomben Newmarket Hcp, down that track’s straight six course. The undeniable significance of that win was that the runner-up, Regular Bachelor, in receipt of 13lb from Pamelus, developed into one of Australia’s best sprinters the following season, winning the Futurity-Newmarket double in Melbourne. The southern handicappers of the day were put on notice. But the new “wonder horse”, as he was described in the press, made just one start as a four year-old, running the established star Lough Neagh to a head in the weight-for-age Doomben Stakes over 10f in early August, 1935. The aftermath of that race was a sensation. Owner-trainer Duke, jockey Tebb and the horse Pamelus were disqualified for 12 months by the QTC stewards. The trio sat out the rest of the 1935/36 season and Pamelus’ four year-old year was lost. Even then, controversy kept the horse in the news with reports of attempted poisonings at his owner’s stables coming to light the following May. When Pamelus did return to the racetrack as a five year old amid much publicity, there was no mistake and the galloper made light work of a Flying Hcp in Brisbane before heading south. At this stage the Epsom Hcp, for which he had been weighted on 9st 1lb, looked the logical target but a week or two out his trainer stated the horse was not as forward as he would like and he withdrew his stable star from the Randwick mile. Instead, Pamelus made his Sydney debut on Metropolitan Day two days later in The Shorts over 6f. Under top weight and a noted market drifter, he ran well for fourth behind the lightweight Some Boy. Unorthodox was a term often used to describe Duke’s training of Pamelus from the start, and just two days later he saddled up his horse for the Craven Plate over 10f and Pamelus finished tailed-off. The brilliant Queenslander now headed to Melbourne to contest the Caulfield Cup at a distance way beyond his comfort zone and after racing Talking in the lead to the home turn, Pamelus faded from contention to finish well back. By now the “wonder horse” reputation was looking somewhat less than wonderful, but at his remaining 11 starts for the season Pamelus finished no further back than fourth in races of the highest class. Victory still eluded him in Melbourne that spring, going under by a half-head in the Cantala Stakes over the Flemington mile on Derby Day, after looking home inside the distance, before another narrow defeat in the valuable Consolation Stakes over 11f at Caulfield a few weeks later. Both times, Pamelus carried top weight, conceding the winners 10lb and 16lb respectively. Also doing the rounds in Melbourne at the time was another lightly raced interstate galloper, this time from South Australia. From five starts in moderate company, he won three times, at Werribee, Caulfield and Moonee Valley, without looking out of the ordinary it must be said. That was about to change. As the New Year came in, the stage was set for some of the most exciting racing of the mid ‘thirties. The paths taken by the stars of the season Gold Rod, Pamelus, Young Idea and the unheralded South Australian sprinter Aurie’s Star, among others, not only began to take direction but inevitably they were destined to cross. Against the pattern of earlier years, it was the sprinter/miler division that provided the most highlights. Pamelus fired the first salvo, breaking his Melbourne drought with a barnstorming victory in the William Reid Stakes at the Valley in late January, easily reeling in the speedy mare Studio in the short straight while Young Idea, also resuming, was unplaced. A week later, the three year-old Gold Rod came back to racing at Randwick in an open handicap over 6f but under top weight and against some smart opposition, Gold Rod finished towards the rear in a totally uncharacteristic performance which belies his genuine claims for HOTY. But it was a much-improved Gold Rod when the glamour colt took his place in the 1937 Futurity Stakes at Caulfield a few weeks later. If 1936/37 had such a thing as the “Race of the Year”, then this was it. Gold Rod’s opposition included the champion NZ mare Cuddle, Pamelus, Regular Bachelor, Young Idea, who had won the St George Stakes at his previous start, the Caulfield Guineas winner Beechwood, the very smart Sydney galloper Hadrian and an in-form, up-and-comer named Country Party, who was weighted on just seven stone and in receipt of between 31-43lb from the main fancies. Pamelus was the 5/4 favourite ahead of Country Party with Gold Rod on the next line at a starting price of 6/1. The Futurity lived up to its billing and when Pamelus made a bold mid-race move to take the lead on the turn, he looked a certain winner. But the patiently-ridden Gold Rod steamed home over the final furlong to topple the favourite with the top weight Young Idea close up in third place ahead of Country Party with Regular Bachelor next, making up many lengths after another slow getaway. Gold Rod and Pamelus were to meet again a fortnight later in the C.M. Lloyd Stakes but first they went to Flemington on Newmarket Day, with Pamelus to contest the day’s feature while Gold Rod took on Cuddle and Young Idea in the Essendon Stakes over 10f. 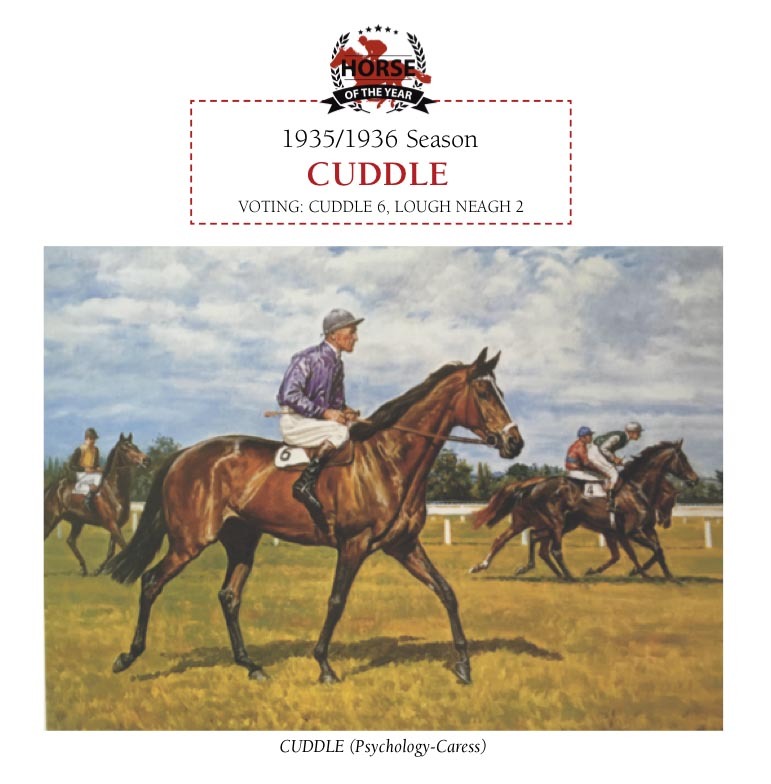 Cuddle ran right up to her best form this time and made the star three year-old work hard for his narrow victory, with Gold Rod getting the upper hand from the mare in the last few strides to win a thrilling contest. Young Idea weakened out of the placings. Gold Rod had now won four of his six starts as a three year-old, a replica of his juvenile season. Pamelus on the other hand faced a daunting, new rival. On February 6, Aurie’s Star came back to racing with an emphatic display to win an open handicap over 6f at Williamstown by a comfortable margin over the good sprinter Press Gang for which the speedster incurred a 6lb penalty for his next target, the Oakleigh Plate. Even so, Aurie’s Star looked well in with just 8st 4lb against Regular Bachelor’s top weight of 9st 11lb. 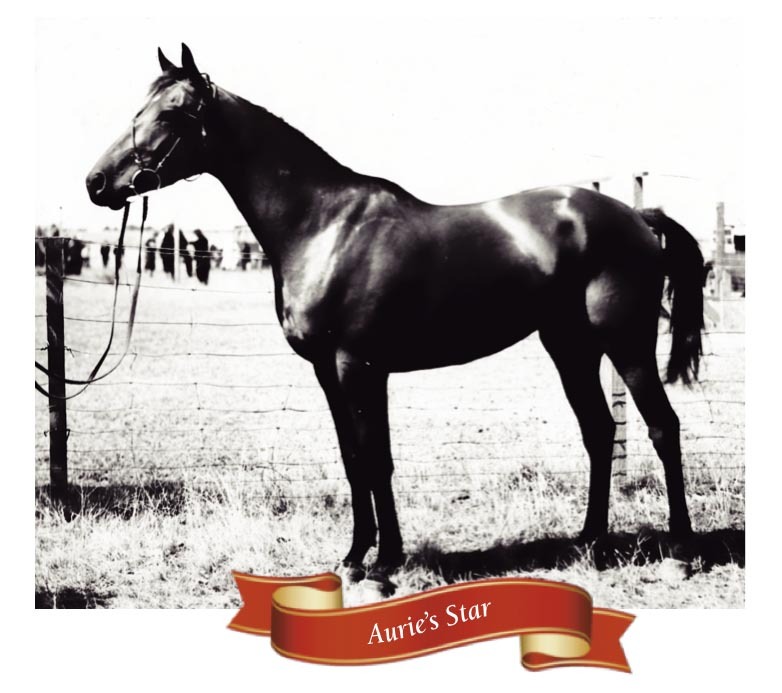 The patient, meticulous placement by Aurie’s Star’s connections over the previous 12 months was about to be paid back in spades. The Oakleigh Plate was as good as over 50 yards after the start, by which time the South Australian flier was many lengths clear of the pack while his main rival Regular Bachelor was just as far behind the rest of the field after again bungling barrier rise. On the turn, Aurie’s Star led by five lengths and held that advantage to the post in a typical blistering display of sheer speed for which he was to become famous. Although Aurie’s Star carried a relatively light weight, the winning margin and the absolute ease of the victory suggest a top class performance. In the Newmarket, Aurie’s Star incurred a 10lb penalty from his original weight (4lb from Williamstown and 6lb from Caulfield) but with 8st 5lb he was receiving 16lb from the joint top weights, Regular Bachelor and Pamelus on 9st 7lb. The race lived up to all expectations as the 2/1 favourite Aurie’s Star soon led clearly on the flat side with second elect Pamelus buried in the ruck some eight lengths away. With the race looking to be in the favourite’s keeping with less than two furlongs to run, Pamelus began his charge. Stride by stride the Queenslander made up the leeway but in the end he fell short by a half-neck as Aurie’s Star became the second horse (after Wakeful) to win the Oakleigh Plate/Newmarket double. Regular Bachelor, coming down the stand side, also finished strongly for third place. Not for the first time that season, the handicapper had sized up Pamelus to the nearest pound or two. Aurie’s Star made one more start for the year, finishing unplaced in a mid-winter sprint at Moonee Valley for seasonal stats of 9-6-0-0. But in the season ahead, that run-of-the-mill race took on an extra dimension. The winner that day was The Trump. Pamelus’ come-from-behind style of racing, like Bernborough’s a decade later, created excitement. When Gold Rod had run him down in the Futurity, the Queensland star had been sent forward mid-race, but when Gold Rod and Pamelus squared off in Round Two, the C.M. Lloyd Stakes over a mile on the final day of the VRC Autumn Carnival, the roles were reversed. Young Idea and the very good miler Gay Blonde made up the select field of four and this time the three year-old had no answer to his rival’s barnstorming finish, with Pamelus going away to win by almost a length, with the others well beaten. Nine days later, the horse from Toowoomba took on another classy field, including Regular Bachelor and the Cox Plate winners Young Idea and Garrio in a Quality Hcp over 7.5 furlongs at the traditional Moonee Valley Eight Hour Day meeting. Conceding weight all round, the son of Bullhead rounded up his rivals on the turn and came away to score by a widening two lengths. The importance of the race itself may have been lost over time, but this performance ranks as one of the horse’s greatest and by now, he was widely acknowledged as the best horse in Australia. The early spring failures, like Gold Rod’s Champagne Stakes run the season before, were a distant memory. With the exception of the Newmarket winner, Sydney was the next stop for our equine gladiators, with Gold Rod, Pamelus, Regular Bachelor and Young Idea holding entries for the Doncaster Hcp on March 27. When Gold Rod finished strongly into fourth place behind King’s Head in the Liverpool Hcp the week before, it was widely expected that he would line up in the Randwick mile, but connections surprised by opting for the AJC St. Leger over 14f on the same day. Although suspect at the distance, Gold Rod started odds-on and once he settled kindly behind the solid tempo, the Chief Ruler colt had too much class for his four rivals and scored comfortably. The better Sydney classic three year-olds from the spring, Talking, Mala and Shakespeare, were missing from the race although the best of the Melbourne crop was represented but they proved no match for the winner. One race earlier, the gallant mare Sarcherie had won the Doncaster with the 2/1 favourite Pamelus close up in fourth while Young Idea and Regular Bachelor were further back. Pamelus ran his race in patches wanting to lay out in the straight under top weight of 9st 7lb but when the Queenslander lined up the following Wednesday in the All-Aged Plate over the same course, punters again sent him out favourite, just ahead of Gold Rod coming back to a mile. Regular Bachelor and Young Idea were there too (but you could have guessed that), while King’s Head and Garrio made up the field. McCarten’s tactics on the brilliant three year-old were clear from the start and the first half mile of the All-Aged Plate was covered in just 48.5 seconds as Gold Rod led by five lengths from the favourite while the tail-ender Regular Bachelor was conceding the leader a dozen or so lengths at that stage. Gold Rod inevitably came back to his field in the straight to be joined at the furlong by, firstly, Pamelus and then King’s Head but all three were swept aside as Regular Bachelor, the outsider of the field at 20/1, stormed past to win by 1.5 lengths. King’s Head got up for second just ahead of Pamelus with Gold Rod fourth. “The crowd was astounded into silence”, the Sydney Morning Herald reported. Gold Rod’s season was over and he went to the paddock with a seasonal score of 10-5-1-1. The brilliant juvenile had trained on to be among the best in the land at three. But for Pamelus there was no spell just yet. The following Saturday he met King’s Head again in the C.W. Cropper Plate over 6f. The only other starter was the smart sprinter Cereza coming off a win in the Railway Hcp at Rosehill a few weeks earlier. All three met with support, with Pamelus at 5/4, King’s Head at 9/4 and Cereza fractionally longer at a starting price of 5/2. This time, McCarten’s tactics on the front-running Cereza were timed to the split second. Setting a moderate pace, the ace jockey sent Cereza into overdrive coming to the turn, catching his rivals napping and establishing what would be a winning advantage. From four lengths off the pace, Elliot on Pamelus now found the margin doubled over the rise and although his mount staged “one of the greatest sprinting challenges seen at Randwick for some time”, Pamelus’ great effort fell short yet again by a narrow margin. The pride of Queensland made one more start for the 1936/37 season, returning to his home state for the Doomben Newmarket. Once again Pamelus ran with distinction. Drawn on the wrong side of the track and under 9st 11lb, he weighed-in fourth to the in-form Gay Chou after striking severe interference at key stages of the race. Long-forgotten he may be, even unheard of by most I am guessing, but Pamelus’s record in the 1936/37 season of 15-4-5-1 stands tall to this day. Perhaps it could be said he needed to win just one of those majors, either the Newmarket, Futurity or Cantala Stakes to bolster his HOTY claims, but there is no denying his class in defeat each time. On the other hand, to defeat Pamelus, a horse had to be at its absolute best. The staying ranks, as can be gathered by the Cup results, were below average for the decade and in the autumn, old Lough Neagh and the 1935 AJC Derby winner Allunga, shared the spoils in the distance weight-for-age races, with honours going to the veteran Queenslander narrowly. As he had done the season before, Lough Neagh won the Rawson Stakes-Chipping Norton Stakes double, and by winning the former, Tim Brosnan’s warhorse remains the only three-time winner of that prestigious race. While all this was going on over the latter half of the season, the juvenile ranks also provided spirited competition, until one colt eventually stood supreme by the end of the AJC Autumn Carnival. Time for that crystal ball again. The longest price ever offered about the champion Ajax was 12/1 when the chestnut colt made a winning debut in the Holiday Stakes at Caulfield on January 17, 1937. 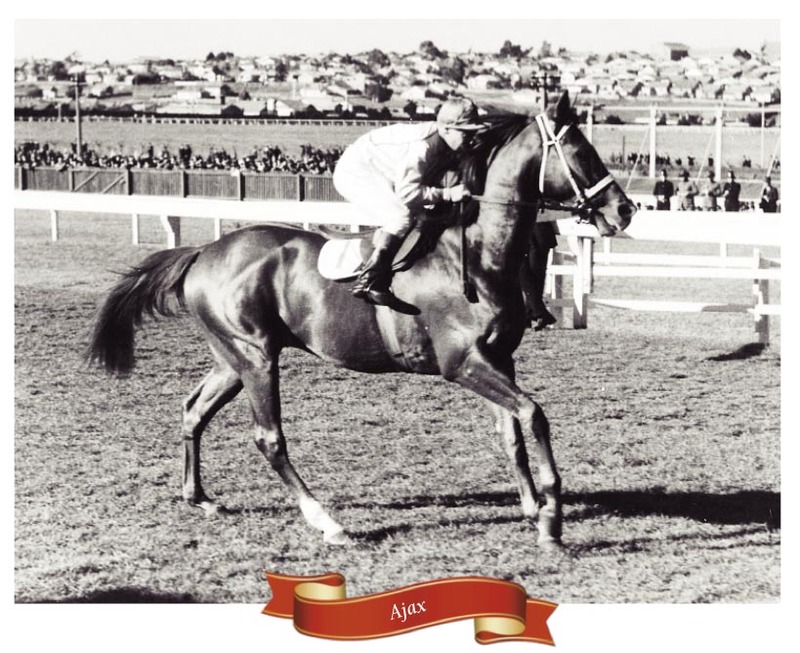 Ajax followed up with another victory in the Federal Stakes on his way to what was expected to be further success in the VRC Sires’ Produce Stakes on Newmarket Day, but, for the only time in his long, glittering career on the track, Ajax was unplaced. The maiden Hua, another Heroic colt, won the race, defeating the Sydneysider Caesar and Nightguard in a three-way photo. Ajax ran off on the turn and took no part in the finish. Backing up a few days later, Ajax’s colours were again lowered by Caesar in the Ascot Vale Stakes, with the winner hugging the rails while Ajax was sent to the stand side to combat his waywardness from the previous Saturday. Even so, Caesar won decisively with Hua, carrying a 10lb penalty, close up in third place. And so, like the older brigade, the better two year-olds were shipped north for the rich Sydney features. Whatever had troubled Ajax at his past two starts was swept aside as the Heroic colt gave a brilliant display to annihilate his rivals in the AJC Sires’ Produce Stakes, winning by five lengths from Caesar while equalling the Australian record time for the distance. For Ajax, this was the “when” moment . . . when, for the first time, the colt’s champion qualities were there for all to see. A week later, Ajax gave a similarly dazzling exhibition to win the Champagne Stakes by two lengths from Hua, to end his juvenile season with a 6-4-1-0 record. Like Gold Rod the year before, Ajax had won two of the three most important two year-old races on the calendar. Make no mistake, the older HOTY contenders in 1936/37 were tremendous gallopers in their own right and each added several more major wins to their CVs over the coming seasons. Gold Rod would go on to win an Epsom and a Doncaster, Pamelus the 1938 Oakleigh Plate, Aurie’s Star another Oakleigh Plate as well as a Goodwood Hcp to go with his famous, long-standing straight six track record ­at Flemington, while Talking returned to win the Craven Plate at four ahead of a very successful stud career. But I think 1936/37 saw these horses at their very best. And even though the youngster Ajax would eclipse them all in time, is it his time for the Bluebloods HOTY title just yet?